Back of the Head: No Pressure, Man of Steel. Christopher Reeve is Superman. He's my idea of Superman. Not any of the kajillion versions in the comics. Not any other media incarnation. I love Superman. Christopher Reeve's Superman. His Superman is a deeply held structural foundation for whatever kind of person I am. Having said that, Christopher Reeve is gone. His Superman is a legend, an ideal, a concept. But it is also one anchored in the past. 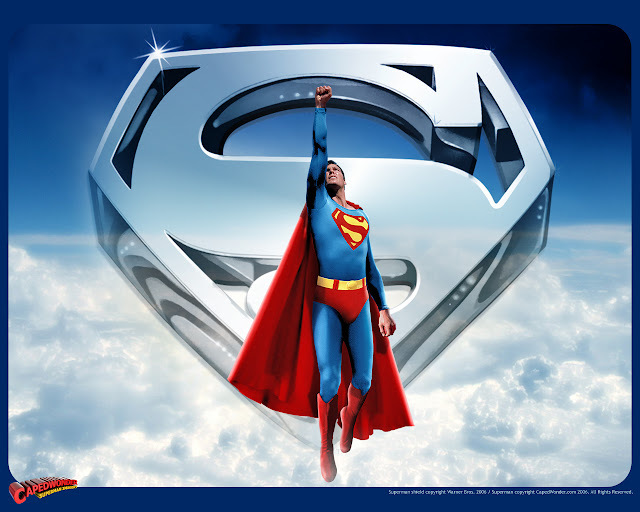 Christopher Reeve's Superman is an ideal of the 1970's and 1980's. Just as George Reeves was the Superman of the 1950's. As such, to quote Brandon Routh, his ultimately unsuccessful cinematic successor, Christopher Reeve's Superman will always be around. To let Christopher Reeve go. If Man of Steel is what it should be, what it needs to be, we will have a Superman for this time, this era, this 21st century. Just as, hopefully, Christopher Reeve was to a 4 year old boy in Manila who immediately, unquestionably believed a man could fly. So, no pressure, Man of Steel.